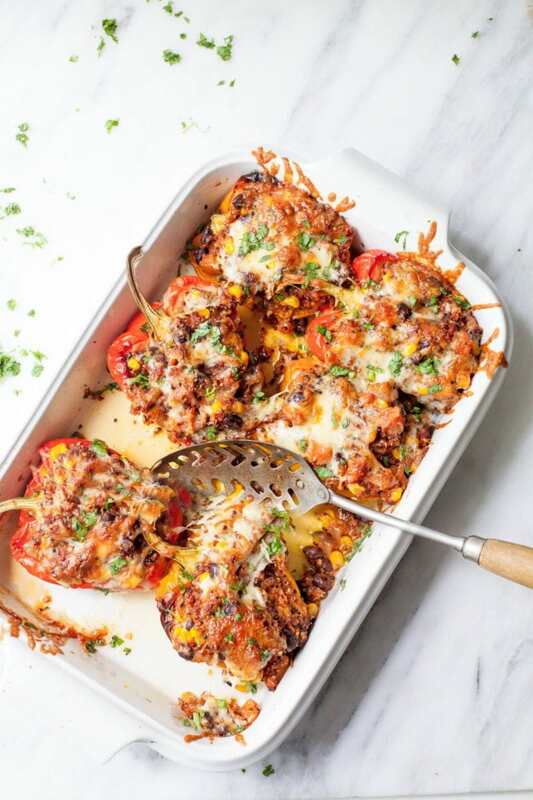 These Southwestern Quinoa Stuffed Peppers are a meatless meal that will even satisfy the meat-and-potatoes crowd! I’m not a vegetarian, but I love cooking (and eating!) vegetarian food. 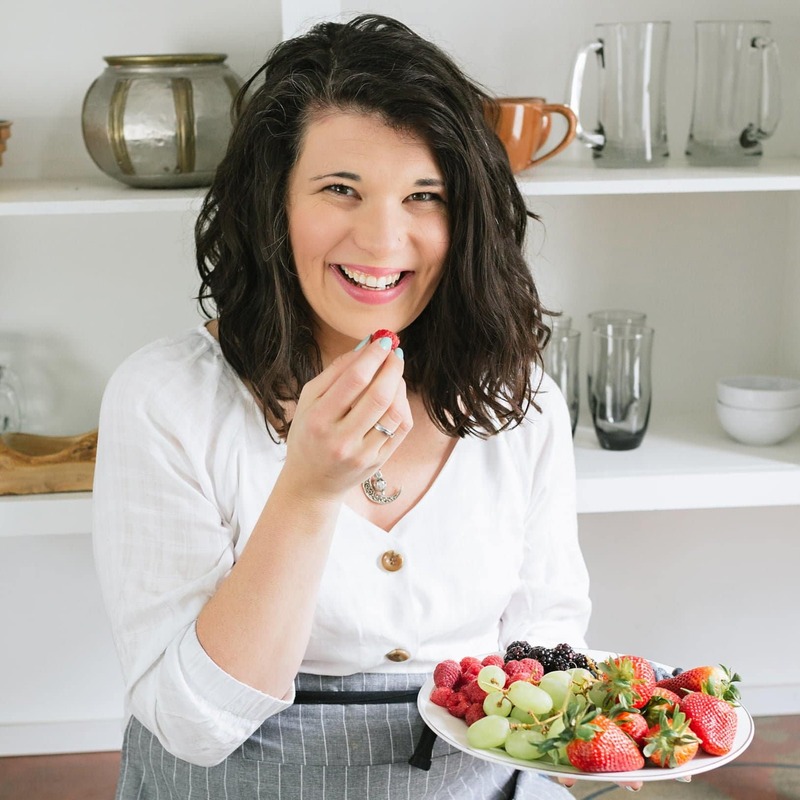 When I first started eating healthier, a big tipping point in my journey was deciding that I’d center most of my meals around plants instead of meat. It’s not that I think there is anything wrong with eating meat, but I do think a lot us make meat the focus of our plates too often. 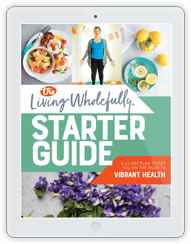 And because we have that hearty, filling, tasty hunk of meat on our plate, we tend to neglect eating good-for-us fruits, veggies, and whole grains. I know when I have something like a hamburger or pork chop on my plate, I’m a lot less likely to fill up on greens or grains. Vegetarian cooking is fun because it flips the script. Veggies become the focus, and it’s a fun challenge trying to make veggies as hearty and filling as a meat-based meal would be. I know a lot of you struggle with making vegetarian meals feel substantial. Or, if you don’t personally, you might struggle with cooking meatless meals for your family because you’re way sick of hearing “but where’s the meat! ?” when you put the plates down on the dinner table. It really is an interesting challenge to satisfy the meat-and-potatoes crowd sans the meat (and in the case of this recipe, without the potatoes either). But I think it’s totally possible! Try using hearty, whole grains and beans in place of meat. Is quinoa going to replace a t-bone steak? Nope. 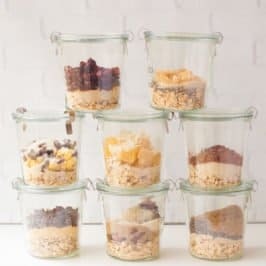 But you’d be amazed and how close quinoa, farro, lentils and beans feel to “real” meat in casseroles and other mixed dishes. 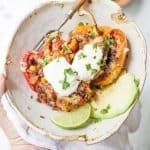 In these quinoa stuffed peppers, I used tri-color quinoa (I buy Bob’s Red Mill brand), because it not only has a meaty mouthfeel, but it also looks the part. So much so, I mentioned something about these peppers being vegetarian while we were eating them, and my husband started dissecting his pepper with his fork because he was convinced there was meat in it. Don’t go too crazy with meat substitutes. I’m not a huge fan of using meat substitutes (like tofu, veggie meat crumbs, fake bacon, etc.) because, here’s the truth: they are never going to taste as good as the real stuff—especially to someone who is reluctantly eating veggie. Let eating meatless meals be its “own” thing instead of trying to copycat your family’s favorite beef or chicken meals with meat substitutes. Use layers of flavor. I think what folks like so much about the taste of meat is the rich, complex flavor—it’s something that a lot of veggies (minus maybe mushrooms) are missing. 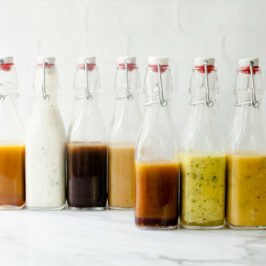 To help make up for this, you want to really be sure to layer your flavors as you cook. Season liberally with salt and pepper during every step. Use veggie broth to cook grains and pasta instead of water. Add an extra clove of garlic. Double the amount of cumin. You get it! Incorporate rich ingredients that are meat-free. If you’re trying for vegetarian (and not vegan) try incorporating ingredients like cheese, eggs, butter, and cream that help add a feeling of richness to your dishes. If you’re completely off animal-products, nuts, mushrooms, and avocados all have that rich quality to them that’ll help your meals feel heartier. 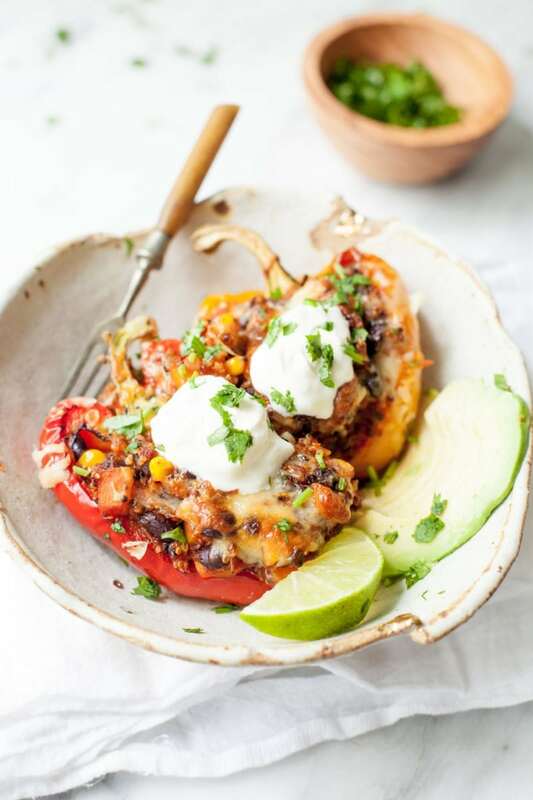 If you’re looking for a Meatless Monday dinner option, these Southwestern Quinoa Stuffed Peppers are a great place to start! As I said above, the quinoa and black bean filling is a pretty darn close facsimile to the typical ground beef filling you’d find in stuffed peppers. Packed with cumin, chiles, sweet potatoes, and corn, the filling is chock full of flavor! 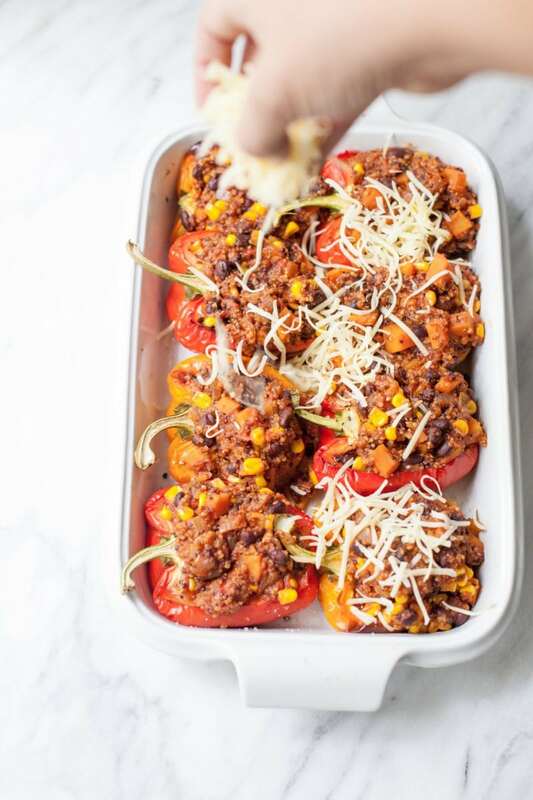 These quinoa stuffed peppers are pretty much as hearty of a vegetarian meal you’ll find anywhere. We top ours with avocado, sour cream, chopped cilantro, and a squeeze of fresh lime juice. So good. So good for you. If you’ve ever struggled with cooking stuffed peppers before (the filling is done before the peppers are or they just take FOR-EVA in the oven), I use a method here that is totally fool-proof! The peppers and filling are cooked separately, and then just brought together at the very end in the oven to melt the cheese and get ooey-gooey perfect. 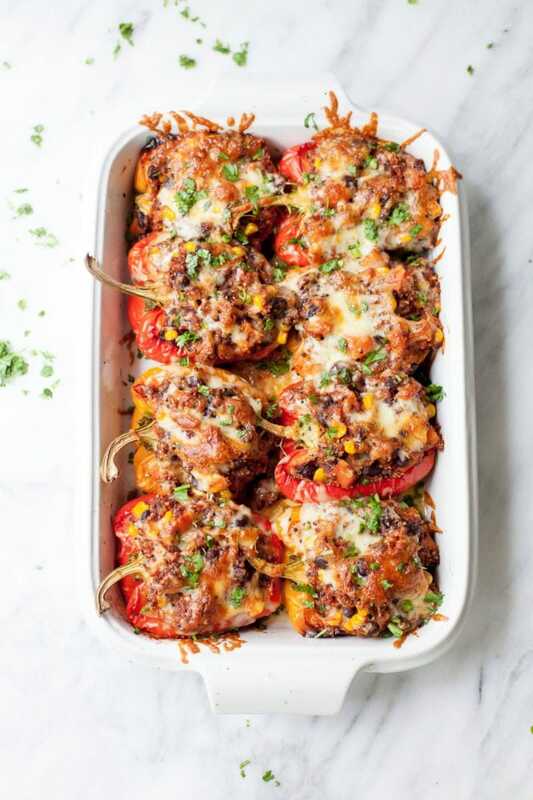 Because I recommend filling half peppers instead of stuffing whole ones, the entire recipe takes only about 40 minutes to make, which, if you’ve ever made stuffed peppers the regular way before, you know is a big reduction in time. This recipe makes enough filling to fill four of those giant bell peppers that I always see kicking around the supermarket in the summer. If your peppers are smaller, you can freeze the extra filling for future dinners, or use it as a side dish, in burritos, or even just as a tasty lunch! Enjoy. Preheat oven to 400°. 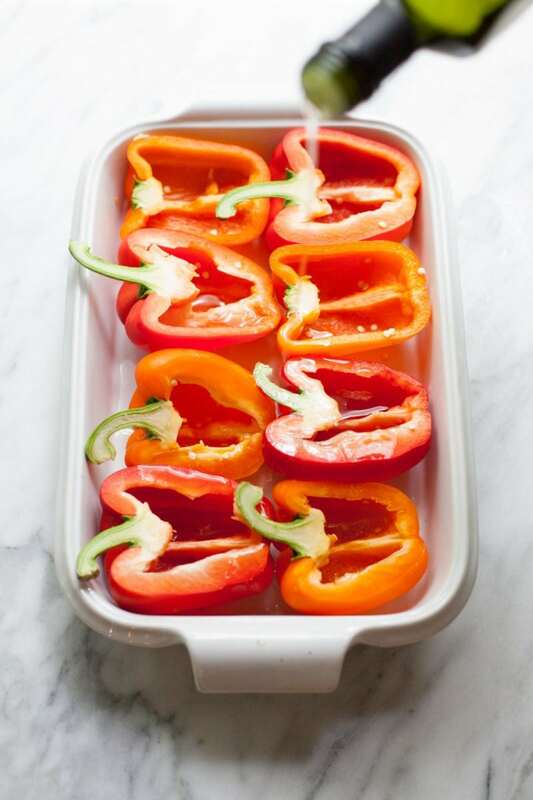 Place the bell peppers, cut side up, in a large baking dish. Drizzle with olive oil and season liberally with salt and pepper. Roast in oven for 15-20 minutes, or until the peppers are tender. While the peppers are roasting, begin on the filling by heating two tablespoons of olive oil over medium-high heat in a large, high-sided skillet. Add in the onion and garlic and cook until just fragrant and tender, about 3 minutes. Add in the red pepper flakes, cumin, sweet potato, diced tomatoes with chiles, black beans, tomato paste, vegetable broth, corn, and quinoa. Bring to a boil, reduce to low, cover, and simmer until the sweet potatoes are tender, and the quinoa has absorbed most of the liquid—about 15 minutes. Remove from heat, and season to taste with salt and pepper. Stuff each of the pepper halves with the filling, mounding on top (don’t worry, you’ll have enough filling!). Sprinkle peppers with cheese. Bake in preheated oven just until the cheese is melted, brown, and bubbly, about 7-10 minutes. 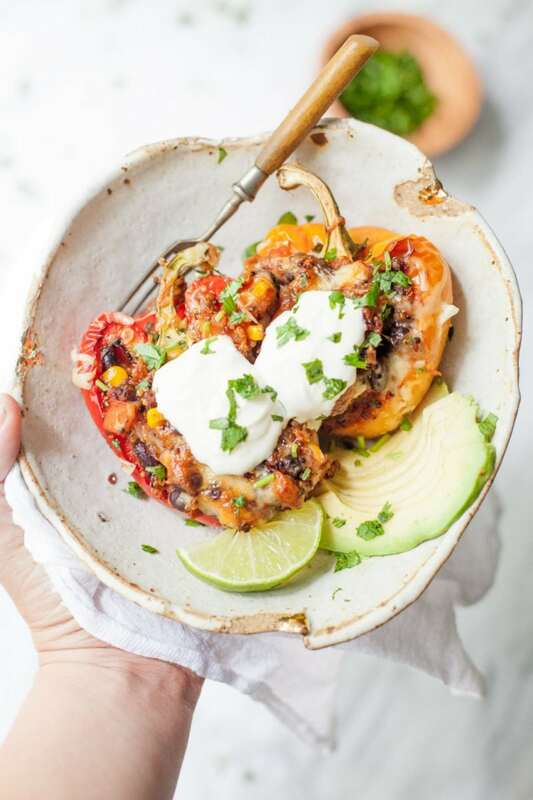 Serve peppers topped with avocado, cilantro, sour cream, and lime wedges. And so easily adapted to being Vegan, will definitely try! I love stuffed peppers! 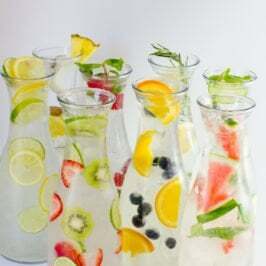 Such a good way to treat yourself but not break the calorie bank! I love the fact that you incorporated the nutrition information. 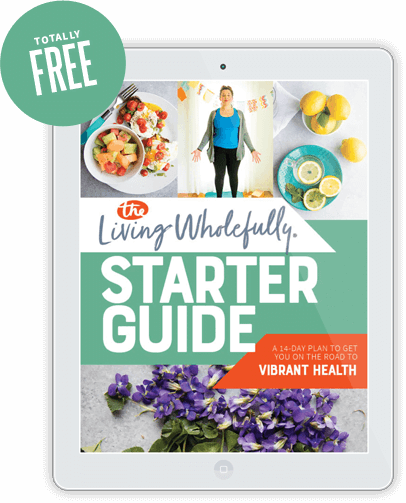 I know that isn’t the main focus but for someone who is doing a program like weight watchers it totally makes things so much easier to calculate. I’ve struggled with making stuffed peppers before due to them turning out soggy after cooking. How do I prevent this from happening? It’s funny you asked this, because this is a discussion we had while we ate these! Different folks prefer difference crunchiness levels in their stuffed peppers. We like them very soft (and that’s what this recipe will get you). If you like them to have a little bit of bite to them still, just take the pepper out 5-10 minutes earlier (pre-stuffing). 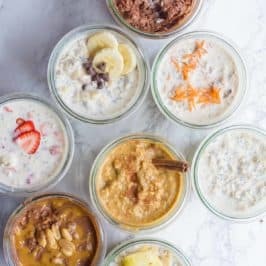 My husband and I made these last night and they were amazing! They’ll be going into the “regular” rotation, which means I’ll make them once a week until he asks for something new. :) Such a great meatless meal that is still completely satisfying! These look great! Would it be ok to freeze these? Do you cook the quinoa before placing it inside the peppers? Yep! Cook it as directed in Step 3, and then you put it in the peppers. My sweet hubby won’t eat sweet potatoes. 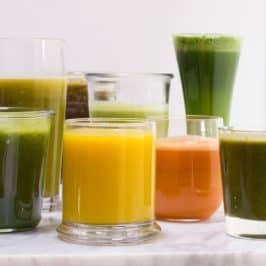 What could I substitute and still stay healthy?